Download and install TouchCopy on your Windows PC or Mac. Connect your iPhone to your computer and click the 'Photos' tab. 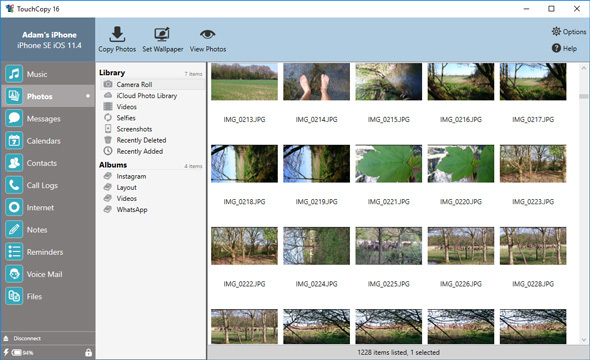 Go to the location on your computer where your photos are saved and select them. Connect your Android device and drag the photos into it. The first thing we need to do is to copy your iPhone photos to your computer. To do this, download and install TouchCopy on your computer if you haven't already. Launch TouchCopy and connect your iPhone. Once the device is detected by TouchCopy, click connect. Now you can explore your iPhone's media in TouchCopy. Hit the 'Photos' tab to view all of your iPhone photos. You can simply click 'Copy Photos' here to copy all of your iPhone photos to your computer. If you only wish to copy certain photos, hold the 'Ctrl' key while clicking multiple photos to select them. Once your selection is made, click 'Copy Photos'. You will then be prompted to choose a location on your computer to save the photos to. Select a location and hit 'OK' to confirm the copy. Now that your iPhone's photos are safe on your computer, you can transfer them to your Android phone. So, first thing's first, connect your Android device to your computer with a USB cable. You may get a pop up on your phone asking what you would like to do with the connection. If so, choose the file transfer option. 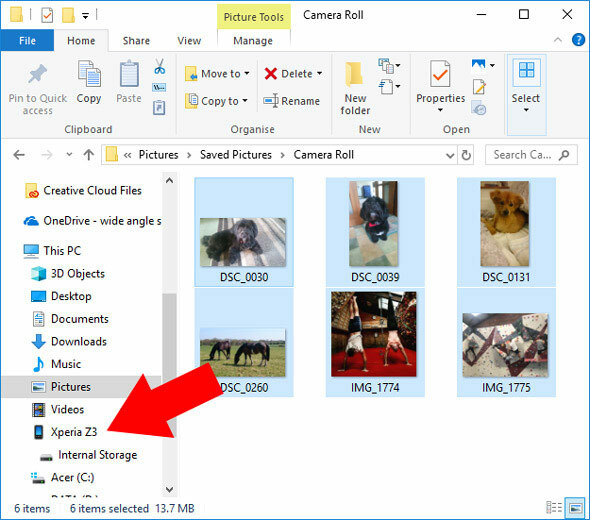 If you then open your File Explorer on your computer, your phone will be listed on the left-hand side. In this window, go to the location where you saved your iPhone photos to. Select the photos, then drag them into your Android device. The copy will start, and the process is complete! Good Job! You have transferred photos from an iPhone to Android.